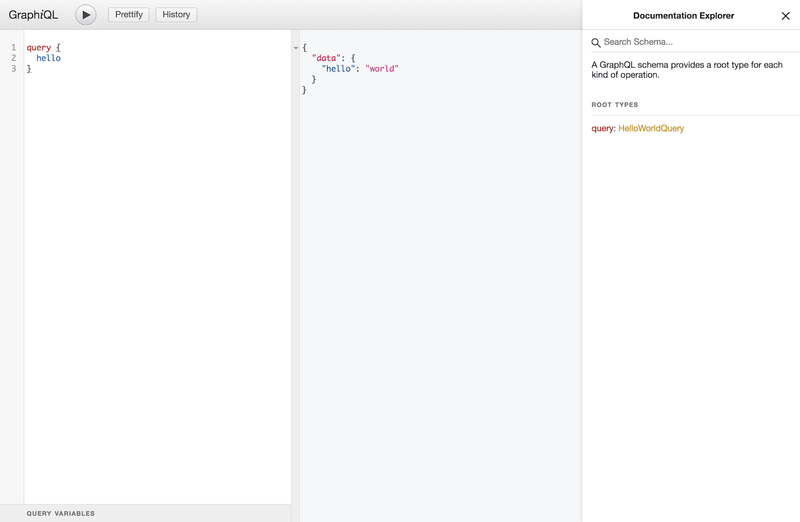 GraphiQL (spelled graphical) is an in-browser IDE for exploring GraphQL. I think it's a must-have tool for any server running behind GraphQL. With GraphiQL in place, you can easily give yourself or your team an in-depth insight of your API. At this point, you can either use yarn or npm to install the packages. GraphiQL is a client-side library which provides a React component i.e. <GraphiQL/>. It renders the whole graphical user interface of the IDE. The component has a fetcher attribute which can be attached to a function. The attached function returns an HTTP promise object and it is just the mimic of the POST requests that we have been making so far with Insomnia/Postman. All of these are done in the app.js file. Next up is the index.html, which will pop up once our application is served. We render the <GraphiQL/> component in a div with an id of app. The index file is placed under the wwwroot so that it is publicly available. The configuration is pretty much self-explanatory. It takes all the .js files in the ClintApp folder, the dependencies from the node_module and compiles them into a single bundle.js file. Similarly, the user-defined and library style files are compiled into a single style.css file. Both of the compiled files are sent to the wwwroot to make them publicly available. All done! Now run the webpack command in the terminal on the root of your project and you will have the bundle.js and style.css files generated under wwwroot. On the right-hand side documentation explorer pane, you can browse through different queries and have a deep understanding of what fields are available and what they are​ supposed to do. Intelligent type ahead of fields, arguments, types, and more. Real-time error highlighting and reporting. Run and inspect query results.